Just got back from a fantastic weekend at Ministry of Mixology UK. This was our fifth event and probably our most successful yet - they seem to get better and better! 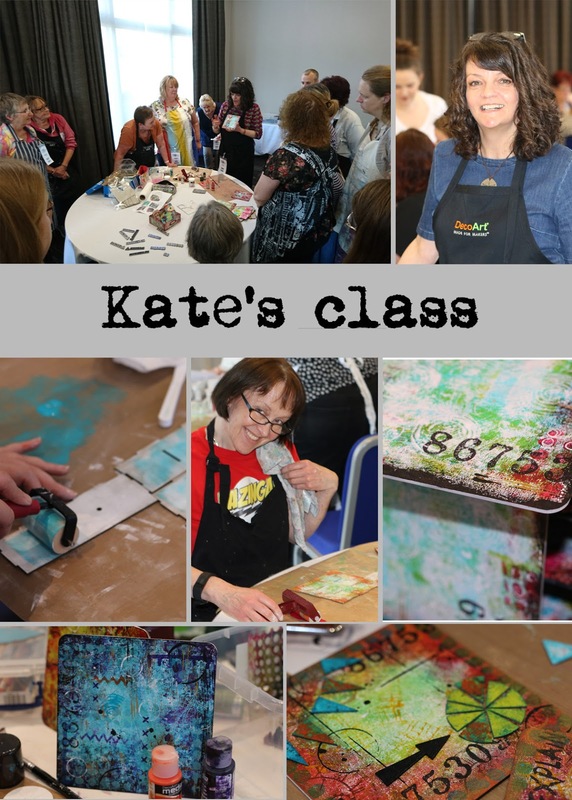 It was lovely to go this time as a visitor rather than a teacher, as I got to chat to lots more of the guests and see the workshops from the other side. There was also a lot more time for shenanigans!!! 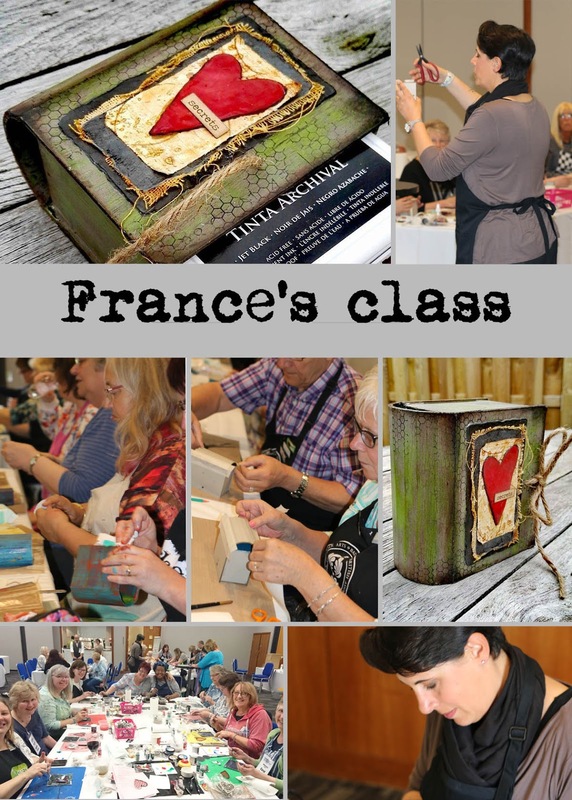 We had 70 students attending and our tutors this time were Kate Crane and France Papillon, who both created gorgeous projects that everyone seemed to love. They were joined as usual in the evening by our volunteer demonstrators - with seven 'make and takes' to choose from this time, from Mark Gould, Nikki Killinger, Dee Adams, Hannah Oxberry, Suz Humphreys, Di Oliver and my long-suffering daughter, Jade Trickett. 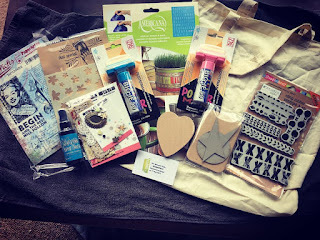 Big thanks go out again to our wonderful sponsors DecoArt, Tando Creative and Stampendous, and also to the associate sponsors who generously donated to our goody bags - Decoart, Artful Days, Kuretake, Country View Crafts, and Country Love Crafts and Tando Creative. And as usual the shop was stuffed full of goodies for your shopping pleasure! And finally... did I mention shenanigans??? This MoM fell around the time of Jade's birthday so Craig (AKA Creg - ask Tracy Weinzapfel) and we did the dance of the sugar plum fairies for her entertainment (and no doubt embarrassment!). Our next announcement will be for MoM USA so keep an eye out for that coming soon! Loved every minute! Fantastic tutors and amazing projects. Fabulous weekend... And what can i say.... Laughed all weekend! What INCREDIBLE teachers in Kate/France and all the SUPER demo folks too - WOW - great line up. I have truly adored seeing all the photos from everyone and hearing about all the fun shenanigans. Best of all MOM is touching lives by encouraging the wonders of creativity and art. Thank you Andy for all you do to "make it happen" and for the shenanigans too!!! Xj. This looks amazing! FUN while making ART!! What a great combination. You make creating a challenge but a FUN challenge, Andy and the gang. So proud of all of you guys! Way to spread the love and creative process to so many people. I know they all had a blast and felt like they learned so much! Your comments are always read and very much appreciated. Video…. A New Way of using Alcohol Inks?